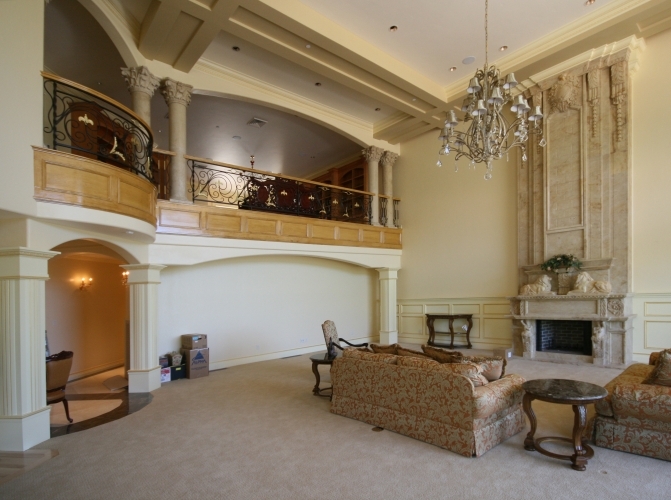 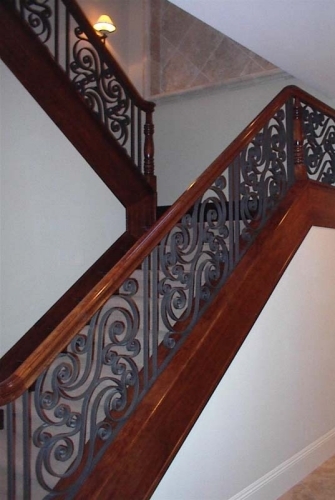 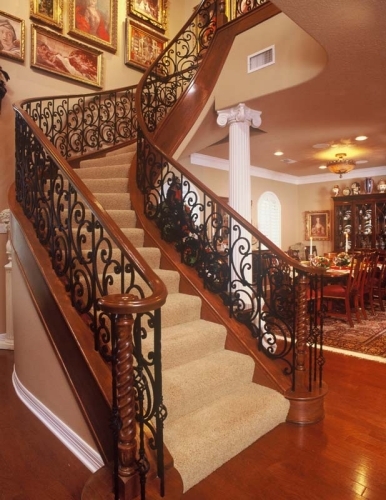 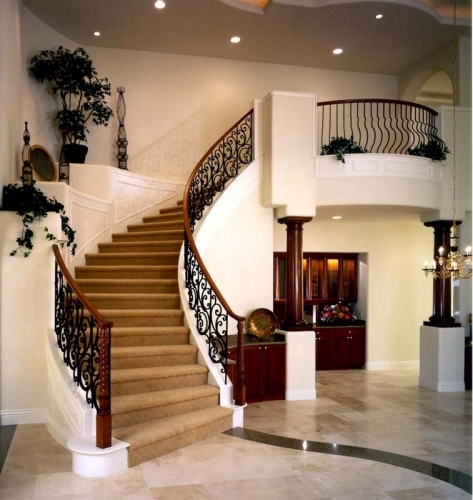 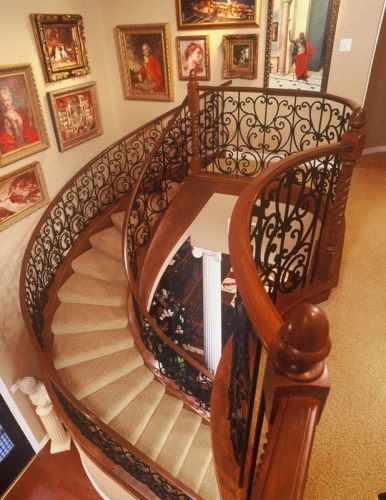 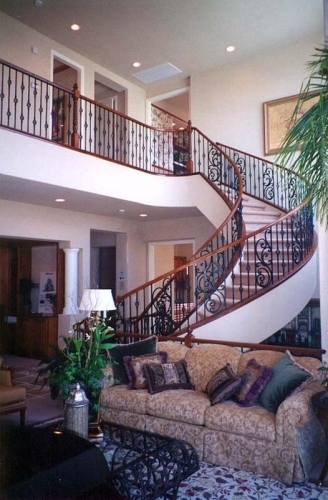 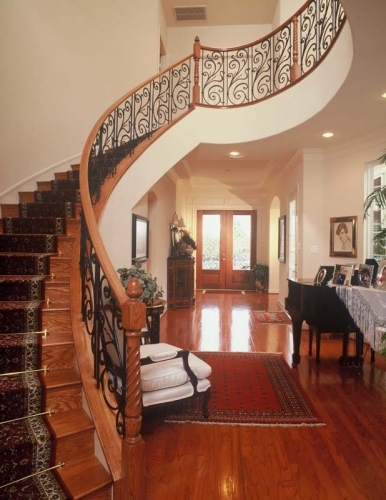 Iron panels are larger, and typically more ornate than wrought iron baluster counterparts. 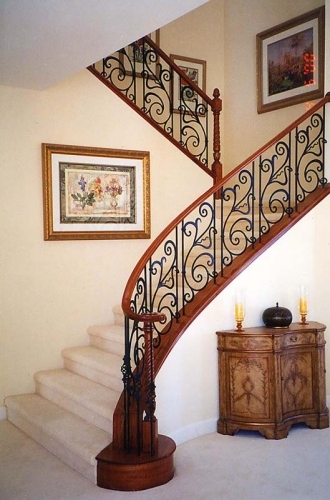 They offer even greater design flexibility and are often combined with wrought iron balusters to achieve even greater design flexibility. 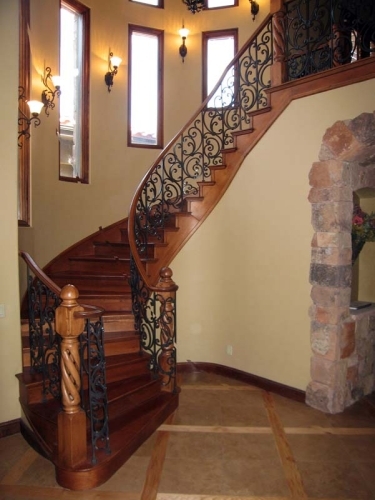 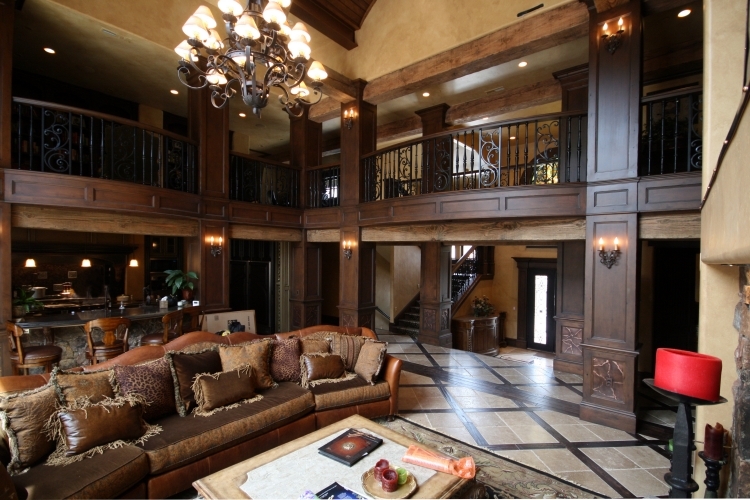 Here are a few examples of Titan Architectural Products (dba Titan Stairs of Utah) recent projects.